There is a larger array of bathroom and kitchen faucets than ever. It doesnt matter if you choose to shop at a specialty plumbing fixture store or Home Depot, its easy to locate just the right item. Faucet installation is an easy task for the average homeowner using just a few common household tools that you probably already own. The good old days of sweating copper pipes and leaning on a pipe bender are long gone. In fact, technologies such as PEX tubing, flexible braided supply lines, and push-in fittings and connectors make installation a snap and less messy than ever before. Even though its true that aesthetic quality is whats certain to impress your guests, its how your fixtures are built that really matters. For example, solid brass construction gives you the best bang for the buck. Sure, youll have to pay for the better materials up front, but in the long run you will benefit due to long-lasting durability as well as less periodic maintenance. Next, consider any internal valves and moving parts. These are present to control the water flow and they represent the guts of the device. Typical types you will find are plastic or ceramic disc faucets (both single and double-handled), diaphragm (double-handled), rotating ball (single-handled), cartridge (single-handled), and compression or washer-type (double-handled). Youll find that most professional plumbers consider ceramic discs to be superior in terms of durability, and they carry the added benefit of offering versions of either one or dual handles. Youll discover that todays selection is very diverse. Although it can be intimidating, it makes it easy to coordinate with other bathroom and kitchen fixtures or decorating styles. The style you choose does not have to specifically be determined by aesthetics; functionality is just as critical. As an example, you will find that goose-neck (high-arcing) faucets do a great job with your kitchen sink. Why? Primarily because it is much higher so it makes dish-washing much easier. There are three primary components that relate to the style you pick. 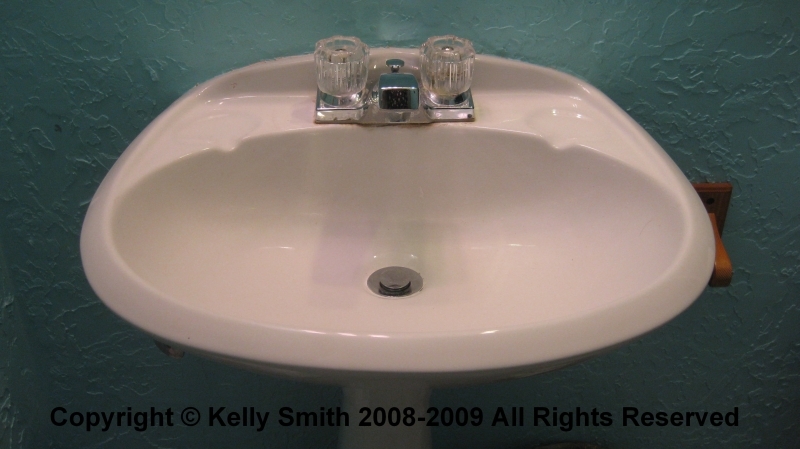 First, consider the pre-drilled holes in your sink or bathroom vanity. This will likely be the most constraining factor for replacement purposes. This is one thing that will lock you in to available choices. Of course with new construction youve got much more flexibility because you can specify your configuration up front. The second thing to consider is the physical shape. As mentioned above, the goose-neck is a good choice in the kitchen. But preference is important and so similar choices are mid-arc and low-arc. In addition, each of these can be found in round or oval shapes, or they can be found with squared-off corners. The combination of geometries really gives you some options. Finally, consider finish. You will find that for most people, this is where the interior decorating aspect enters the picture. Polished chrome is arguably the most traditional finish but other styles are gaining in popularity. For example, you see more examples of polished brass, brushed nickel, bronze, and even black all the time. The bottom line here is that it is not simply one or two things that you will need to take in consideration, but the totality of the several different aspects of the different models you will look at. This combination of choices will ultimately determine your dollar outlay at the checkout counter and the amount of periodic maintenance you can expect to be facing in the future.